I was, I am and every day should begin and end like this one did. And today I get to share with post #400 on this blog. 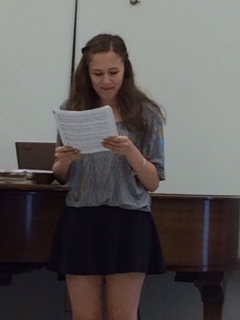 My day truly began yesterday at 8am, watching my oldest daughter Sophie perform an Italian song at an informal recital for her Carver Vocal class, the last one before the big year-end recital next month. 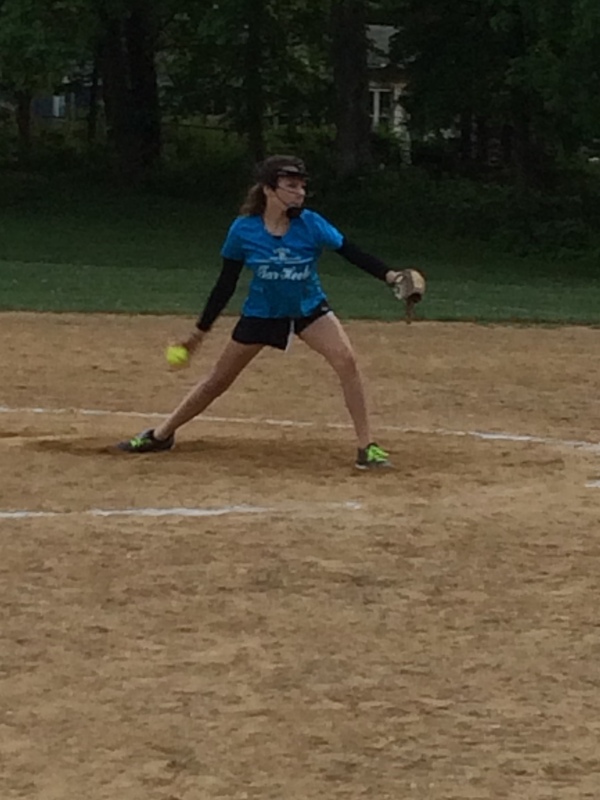 Twelve hours later, at 8pm, I was there to high-five my youngest daughter Emily, as she ran off the field after pitching a nearly perfect final inning in a victory for our Lutherville Rec softball team, the Tar Heels. The same team for which I help to coach. Sometimes the universe conspires on your behalf and bookends a day like yesterday, one in which gratitude is on display in a big way and easy to grasp and to cherish. It’s not that way every day, which is why you must look for the silver lining in each day, no matter what. Yesterday my girls made it easy, for there is nothing quite like watching your flesh and blood bring to life the journey of your own, in ways in which words are sometimes hard to come by. Sophie and 14 of her classmates in her freshman vocal music recital performed beautifully, each one with their own unique voice and style. 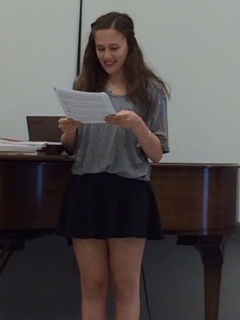 I have seen each recital this first year of high school and each time they get better. After all that is the end game in all of this – life is about progress every day – if you can do that – you are living large. You must enjoy the journey, because if you can’t, then the destination is meaningless. As Sophie’s teacher Dr. Evan Walker explained, it’s not whether these students become vocal stars or go on to singing careers, it’s whether they can master the discipline, focus, dedication and ability to work independently, so that no matter what they chose to do in life they will be successful. If you can bring those traits to any career then you will be great and others will want to work with you. You will be a leader. The lesson for Sophie: keep practicing, stay focused and watch the compound effect help her to blossom, with her talent and with her life. As one of Emily’s coaches we teach the girls skills, the right attitude and the fire to compete. Softball, (baseball), is the sport most like life, so if you can learn to handle the failure associated with the game, then you can battle back against the curve balls which life will inevitably throw your way. 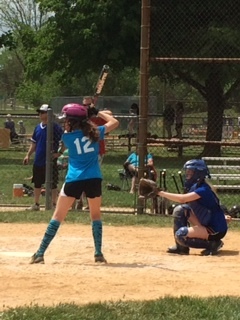 After having her worst game of the season on Saturday, Emily came back last night to play again and drive in two big runs with a clean single up the middle and pitch a nearly perfect final inning to shut down the other team and end the game. The lesson for Emily: it’s all about how you get back up when you’re down. Live to fight another day, because in each day a new game begins. The lesson for me: cherish every moment. And be moved. Join the Tribe: Enter your name and e-mail address on the blog and get posts from It’s Just About… Life & The Sunday Series, sent directly to your e-mail inbox. It’s free and spam free too!! #6, Man Was I Wrong: It’s Just About… Life.